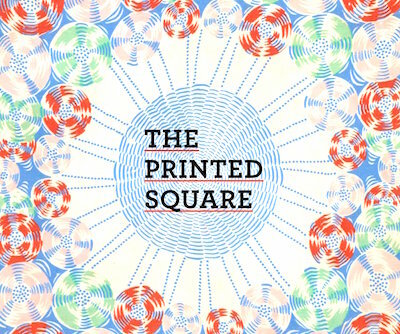 The Printed Square: Vintage Handkerchief Patterns For Fashion & Design, by Nicky Albrechtsen features more than 200 reproductions of handkerchiefs from the 1920s to the 1950s: "The early twentieth century was a particularly innovative and inspiring period of design, stimulated by the popularity of the printed handkerchief as an essential accessory." The book (which is square, to match its title and subject) begins with a brief social history of handkerchiefs and their designs. The selected handkerchiefs are floral and geometric, arranged according to their colour schemes. Full-page colour photographs make this a useful design sourcebook, though it's not a work of reference because it has no details about the dates, designers, or manufacturers of the handkerchiefs. Albrechtsen is a co-author of Scarves (also published by Thames & Hudson), which covers another largely overlooked aspect of fashion accessories and printed textiles. The early histories of handkerchiefs and scarves are also summarised in Accessories Of Dress (1940) by Katherine Morris Lester and Bess Viola Oerke.